Rebellion, creators of the Sniper Elite series, have picked up the Woolfe intellectual property at an auction after its original creator, Belgian studio Grin, went bust. We reported on the closure of Grin when it happened. 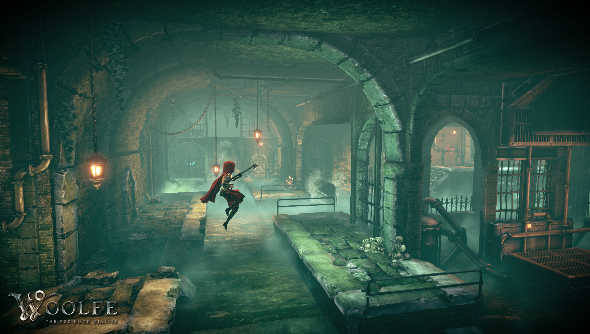 Woolfe launched on Steam back in March after a successful Kickstarter raised$72,139 for the fairy tale platformer starring a vengeful Red Riding Hood. Reviews were mixed and sales of the £6.99 game weren’t enough to keep Grin smiling. “There are components of the game that are excellent, and there are components of the game that are actually not very good at all,” Rebellion chief Jason Kingsley told Eurogamer. “You can’t condemn it entirely. The art was good. I liked the ambiance it created. I found certain aspects of the gameplay quite frustrating, or quite bad. Let’s be frank. Let’s call it what it is: quite bad. Rebellion have sent a couple of members of staff to pick up Woolfe’s source code, as well as a couple of pallets filled with physical backer rewards, which Rebellion have promised to honour as many of as possible. Now, Rebellion, while you’re looking at what you could do with other IPs, perhaps you could make some games from that 2000 AD IP you own. Thanks.